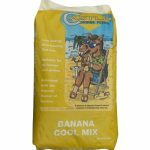 Banana Cool Mix is an oat free mix to support horses and ponies in light to medium work. It provides a delicious and tempting feed whilst supplying essential energy, protein, vitamins and minerals. 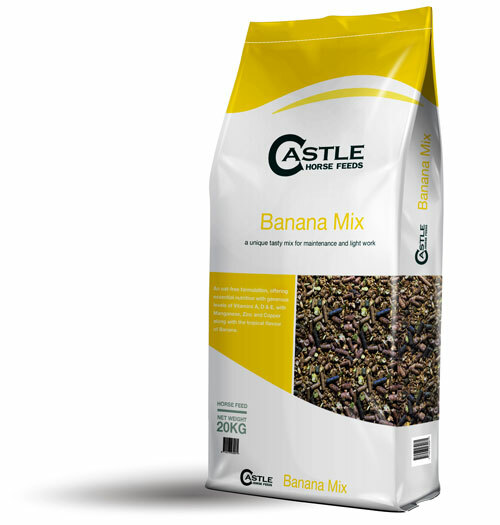 Oat Feed, Rolled Barley, Molasses, Micronised Flaked Barley, Micronised Flaked Maize, Micronised Flaked Peas, Grass Pellets, Vitamins & Minerals, Banana Flavour.